This slightly toxic herb was once used as an insect repellant. The lacy, blue-green foliage and greenish-yellow flowers make it a lovely companion plant for almost anything. ​Ruta graveolens is a host plant for the following butterflies: Black Swallowtail, Giant Swallowtail, Broad-banded Swallowtail, and King Swallowtail. Wear gloves when handling rue. It can cause rashes on sensitive skin. ground chalk should be given once a year. 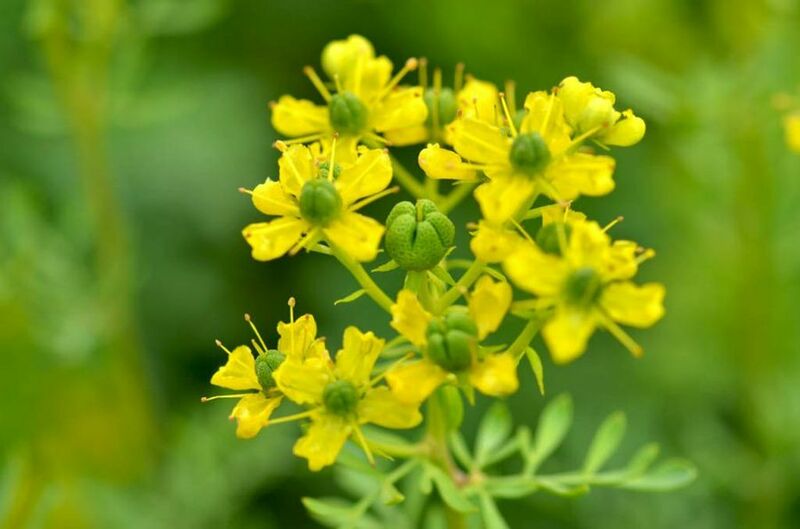 Ruta graveolens is an heirloom herb that has been grown in gardens since ancient times. ​The “graveolens” part of the name refers to its heavy-scented properties, and is attached to the herb Dill, as well. Its flavor is bitter, and a strong smell along with a bitter taste convinced many of its medicinal power. Ruta comes from a Greek word meaning “to set free”, although purportedly due to the magical powers that people attributed to it. The Roman’s brought it to England, and it was reputed to have all sorts of uses. In Medieval times it was believed to have healing powers. No longer considered as medicine, as it can be toxic in larges doses, this “herb of grace” is still a member in good standing of herb gardens.